This week’s Sunday Sevens is brought to you at the end of the last full week of the summer holidays. As such, I was prompted into doing my best to make the most of each day. 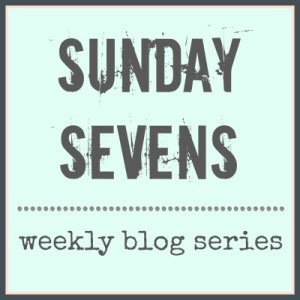 Nat came up with Sunday Sevens, so if you like the look of it and want to join in (and why wouldn’t you?) visit her blog and read all about it. 1. Naturally some parts of this week were occupied by school prep. 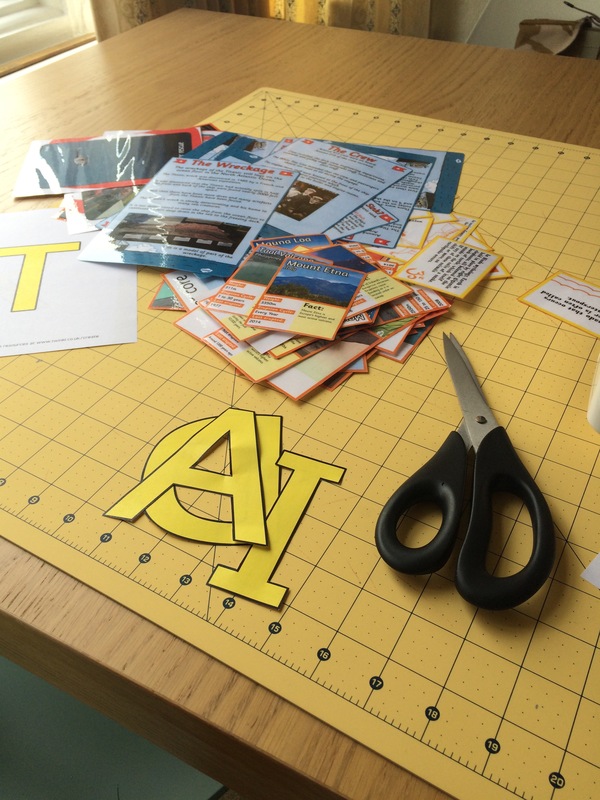 All teachers secretly love laminating, and the subsequent cutting out is a necessary evil. 3. I’m not back in the usual swing of things but have tried to walk the dogs a bit more this week. 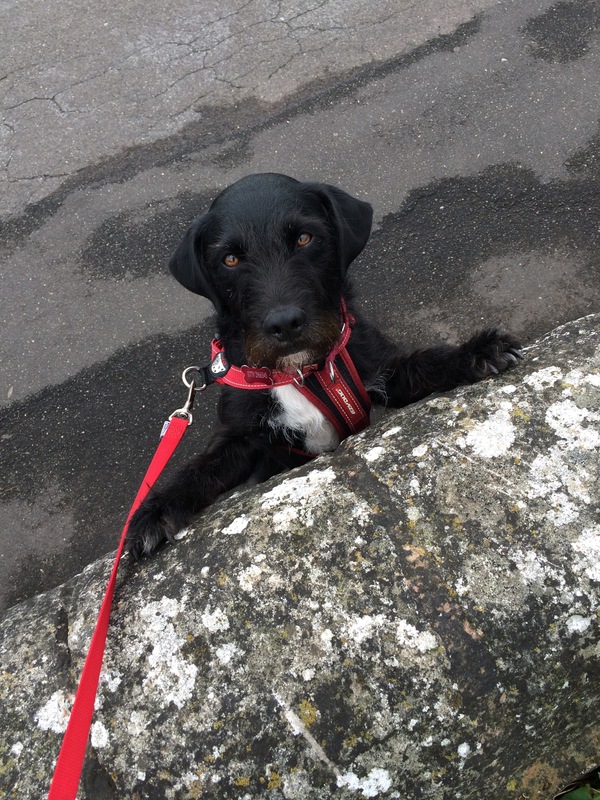 One morning Wilfie decided he couldn’t climb over a wall, in the hope that I would pick him up. He looked so sweet and pitiful I couldn’t resist a photo. 4. 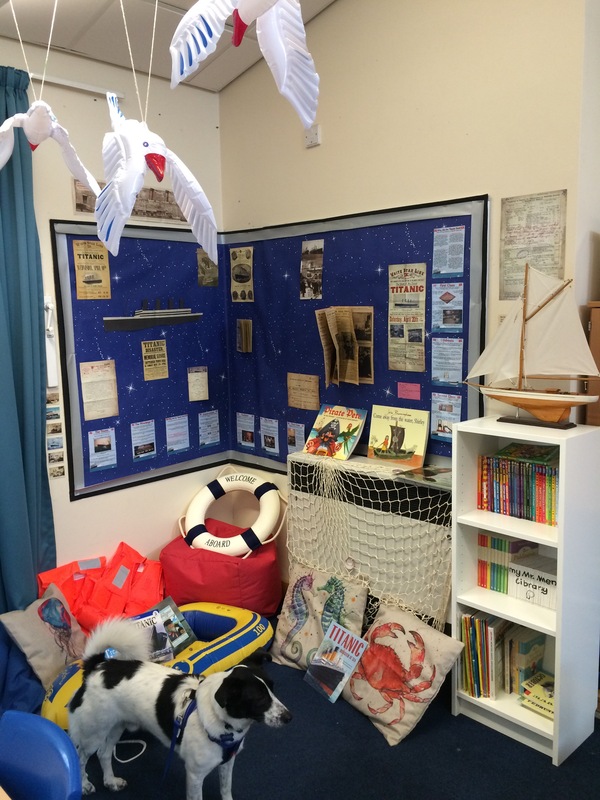 I spent some time getting my classroom ready for my new topic – Disasters. This corner is dedicated to Titanic. The dogs kept me company as I put some display stuff on the wall. 5. I had a day out with my mum in West Yorkshire. My grandad was from Pontefract so we had a good walk around town, and also nipped to Normanton where my grandma was from. They aren’t places I know so it was nice to visit and think about family history. 6. I got a shiny new bike! I’ve never had a NEW bike, I had one which was found on a field and one (a chopper!) that was exchanged for something. I also don’t have a great track record with bikes, largely due to the fact that I use my face to cushion my falls. 7. I used my new Swedish-type pattern paper to trace off a PDF pattern that I’d printed and assembled. 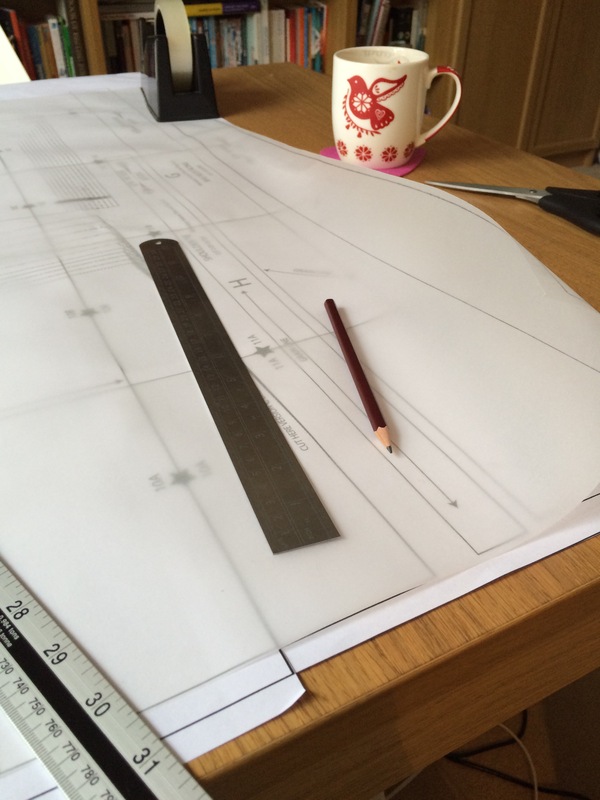 The paper was so nice and wide and lovely to use. Little things! 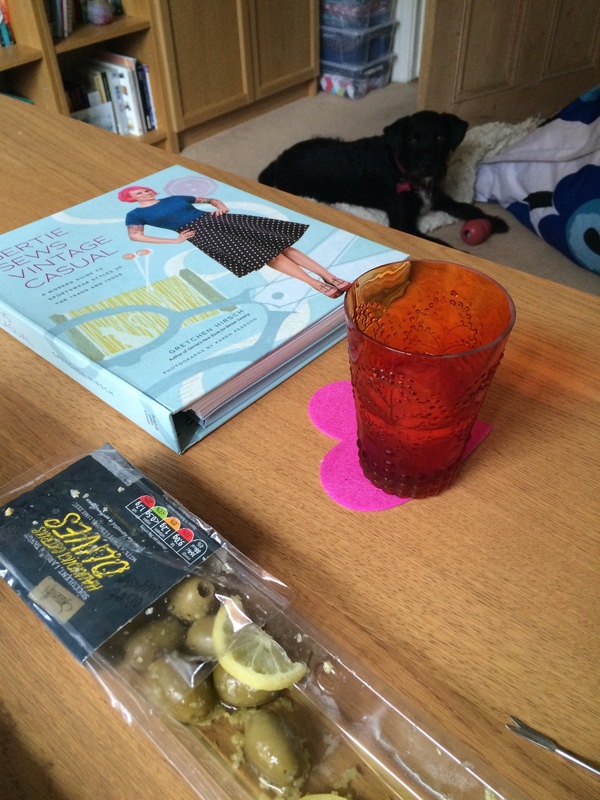 All in all a pretty perfect week, featuring some of all of the things I love. I’m writing this at the start of the bank holiday weekend so am hoping there will still be time for some relaxing, some sewing, and making the most of being with the dogs, before returning to work later in the week. Wishing you all a lovely long weekend and a great week. You’ve been busy, looks like you’ve definitely made the most of your last full week. Keep meaning to take H to Pontefract- the home of Haribos! And Wilfie looks so forlorn. 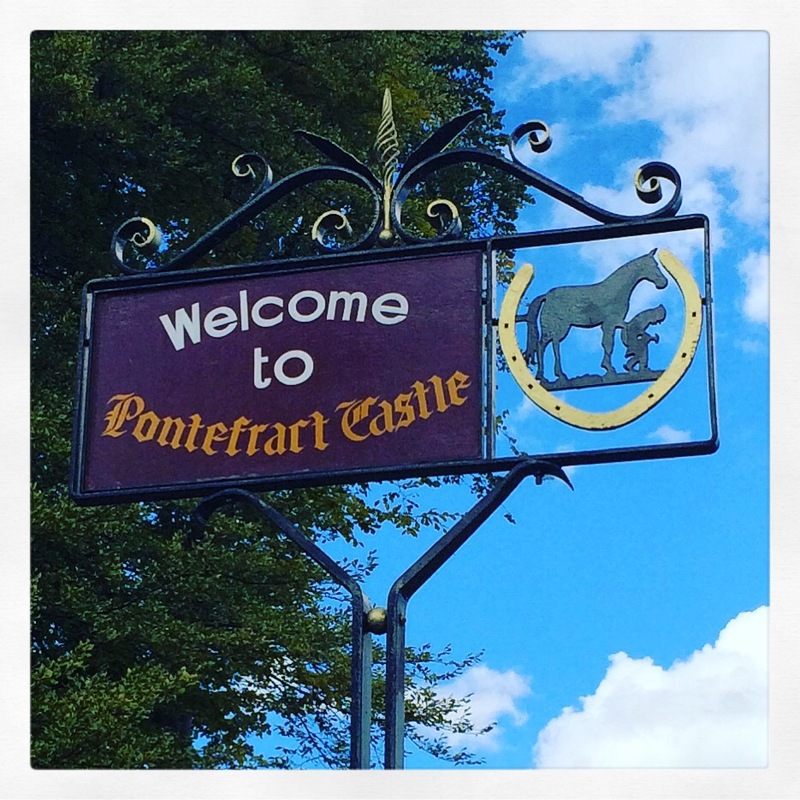 We parked on the other side of the bridge from Hariboland and my mum proceeded to spend the day searching for pontefract cakes – no idea why neither of us thought to go in! Lovely new bike! As for Wilfie with that wall, not surprised you couldn’t resist. Teachers are such creative people–they always amaze me! I had no idea of their love of laminating, though. 😉 What a lovely week, a good mix of productivity and fun. What a great photo of Wilfie 😀 He looks so innocent! Classroom looks AMAZING! 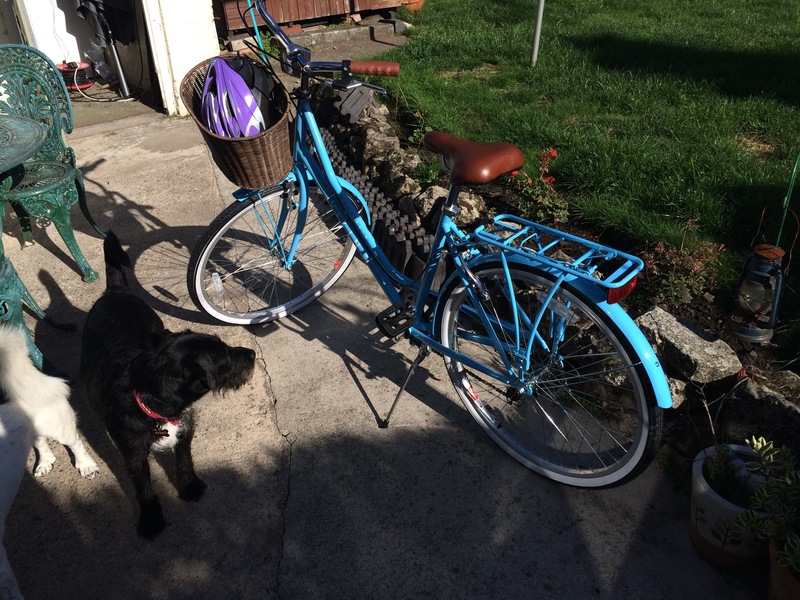 I can’t wait to hear about your bicycle adventures – wonder if you could train the dogs to run next to you?? Olive might not be so opposed to bikes if you’re on one? !